Seems like they would have put the name on paper rather than just saying it aloud, but I guess things worked differently back in the 1890′s when they were invented. I don’t know what that has to do with candy. 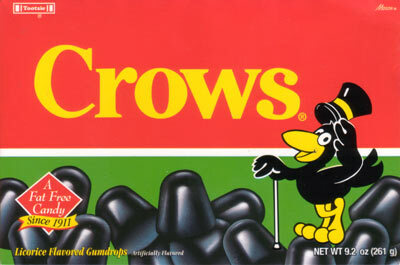 Was the name of the candy changed from BLACK CROWS to CROWS because of political correctness?